The In Essence Organic Camellia Treatment Oil claims to be the ultimate antioxidant, rich in Oleic Acid, Vitamins A, B and E and suitable for all skin types. 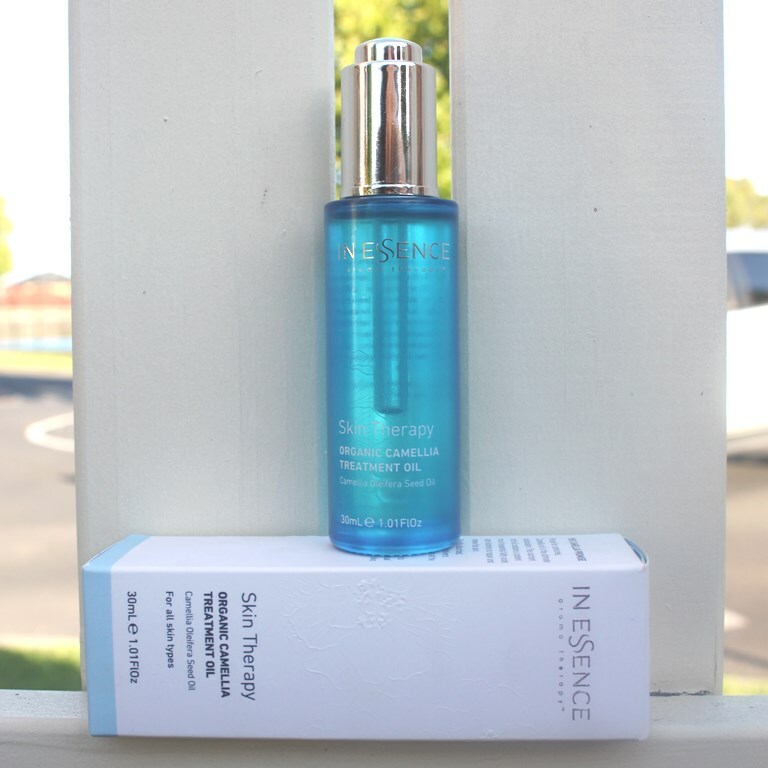 It is rapidly absorbed for intense and deep hydration to restore a natural, healthy glow. Known as the beauty secret of Japanese geishas, Camellia Oil is derived from Camellia plants and often referred to as tea seed oil. It is considered a dry oil, easily absorbed into the skin to offer hydration without leaving a greasy residue. 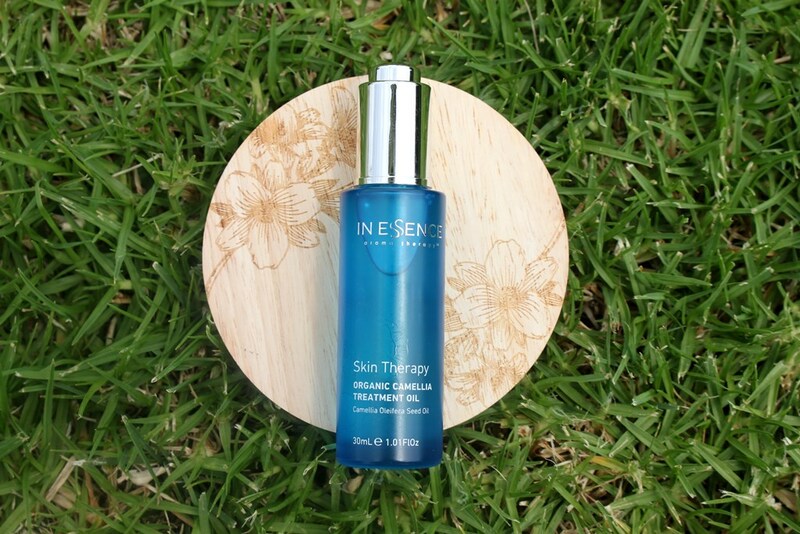 The In Essence oil is cold-pressed, the seeds sourced from Australian organic growers. In terms of composition, it contains very high levels of Oleic acid (over 80%), a mono-unsaturated Omega-3 fatty acid, as well as containing Omega-6 Linoleic acid, alpha-linolenic acid, stearic acid, vitamin E, calcium, potassium, triterpenes, saponins and squalane. This makes it an excellent emollient, effective at retaining and enhancing skin moisture. Oleic acid is able to penetrate deep into the stratum corneum to greatly enhance the beneficial effects of collagen and elastin. Potent antioxidant compounds stimulate cell regeneration to slow down ageing, preventing premature wrinkles and fine lines. In fact, Camellia oil is one of the highest naturally occurring antioxidant sources, protecting against free radical damage caused by the environment and the sun. Further, its structure makes it highly compatible with human skin since Oleic acid is the primary fatty acid in skin lipids. 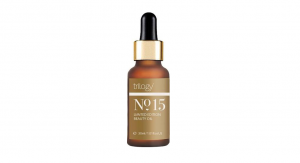 This assures easy penetration, cell membrane nourishment and accelerated skin rejuvenation. It is said to be noncomedogenic so will work without clogging pores. 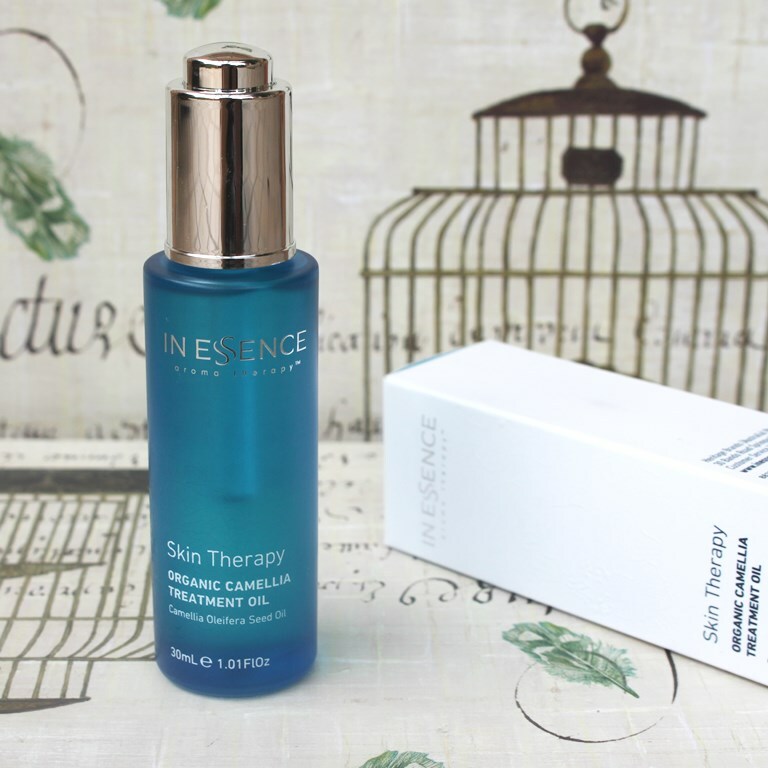 The In Essence Organic Camellia Treatment Oil is packaged in a blue tinted glass bottle with screw top lid and dropper dispenser. The analysis proves a perfectly clean result with both the EWG and CosDNA results supporting the gentle nature of the single ingredient formulation. After cleansing, massage 2-3 drops directly onto the face and neck area. Use morning and evening as a treatment oil or before applying moisturiser. For an added hydration boost, combine a few drops with your moisturiser. 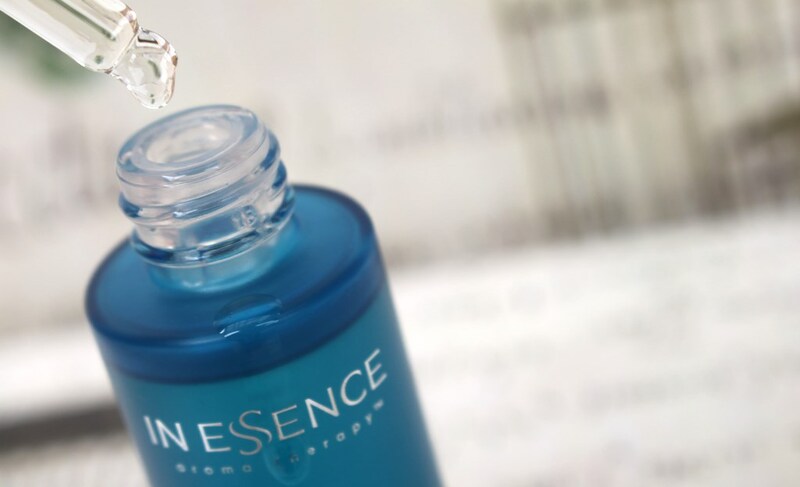 The In Essence Organic Camellia Treatment Oil has no distinct scent. A 30ml bottle of In Essence Organic Camellia Treatment Oil has a recommended retail price of AUD$49.95. The oil can be purchased at the In Essence website and some online and departments stores. The product must be used within 12 months after opening. I was excited to try a 100% organic camellia oil since it is said to be such a powerhouse antioxidant with a long history of use for beauty enhancement. It is presented in a typical fashion for an oil, the lightly tinted blue bottle perhaps suggesting it is not as photosensitive as other oils. The oil has no distinct smell and is also colourless. The chrome dropper lid assures elegant presentation. It only ever draws around 20% of its capacity, however, given the application amount is merely a couple of drops, this was never an issue. Although it is a dry oil, I did find it left an oily film on my skin regardless of the application choice (used alone or combined with other layers). I usually apply my oils at the second last step of my evening routine, preceding a cream to lock everything in but I did find this quite heavy. 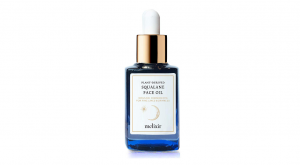 I tried applying the oil after a double cleanse when my skin would be at its most thirsty just to see whether or not this would aid absorption. It did slightly, but the shine and the film of oil remained. What did however work, was applying it to damp skin. The oil fully penetrated my skin and the sheen dissipated after around 30 minutes. Only 2-3 drops are required for adequate application. I sometimes applied it as a separate layer, other times combined it with my moisturiser. The result was always the same although I found the added slip generated by the latter made it easier to spread/pat in. Furthermore, a drop of oil worked very well when added to my foundation. Gliding it on with my fingers (which I rarely do) left a really silky flawless finish. A touch of powder made sure any remaining shine was mattified. 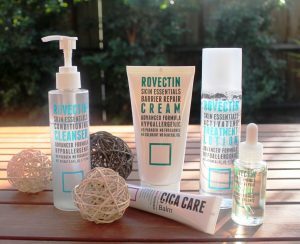 We honestly feel that if dryness is not your issue it may be quite rich for your skin, particularly if you use too much…. To tackle your concerns we would also recommend just one drop. Two drops would be enough for face, neck and décolletage. Firstly, use on clean skin and secondly massage in thoroughly until absorbed. So after commencing the trial, applying this at the recommended amount (2-3 drops) both day and night, I realised I was probably doing it all wrong. I decided I would go with once a day application as it was far easier, more comfortable and more in keeping with my preferred application for oils, since I find them generally too occlusive for day use. This change made it harder to apply since only one drop failed to generate enough slip to spread it across my entire face. So I was forced to use it with moisturiser which is fine. The outcome was a much more manageable application with far less residue. Two weeks later, I have decided that this oil is effective as a hydrating agent. However, it is not something I enjoy applying at the peak of summer. Having said that, I generally avoid the oil layer at this time of year anyway, so that assessment is less of a criticism against the product and more of a personal preference. Now that the review is written, I will put it away for a few months and try it again when its cooler and my skin is likely to be drier and more receptive to it. Regarding results, it does deliver on some of its claims, noting my observations are based on my combination skin. It’s only “rapidly absorbed”, if applied in the tiniest amount (1 drop) and best on damp skin. It does achieve good hydration, my skin feeling softer and more supple by morning after p.m. application. Did I manage a natural healthy glow? Well, if the shiny film of oil which reflects light better than matte skin does counts then yes I did. Alternatively, if it’s more about a fresher more radiant complexion, then I’m not sure that I observed that during the two week trial. My skin certainly benefited from the added moisture and the resultant plumpness achieved did reduce the appearance of fine lines slightly. The short length of the trial also effects my ability to judge this oil. It is impossible to determine whether the antioxidant strengths would reduce ageing signs by protecting the skin from environmental damage. In reality, something like this would need at least 6-12 months to determine, the longer the better. Even then, with so many other antioxidants in my routine, it would be impossible to draw an accurate conclusion as to which is responsible for providing the most effective protection. 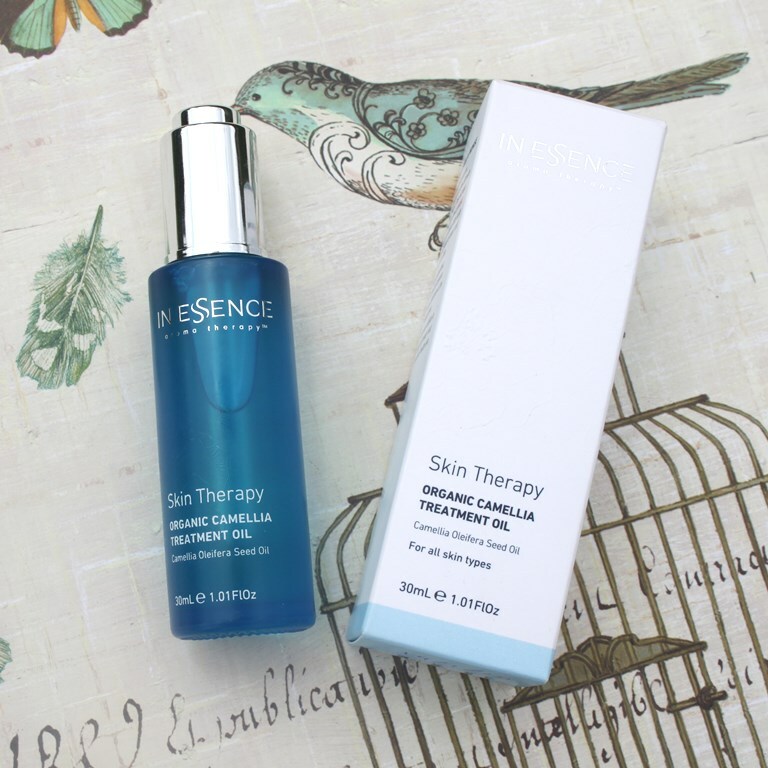 The In Essence Organic Camellia Treatment Oil makes my skin feel silky soft and supple and in doing so, plumps out the appearance of fine lines. It’s a good oil. However, I wouldn’t recommend it for oily or combination skin types unless the conditions are absolutely right. This would involve cold weather use and the tiniest amount per application. Otherwise, the oil does leave a greasy film on the surface. Although the brand recommends use for all skin types, I would suggest normal to drier skin would benefit most.